In this Letter we continue to examine Jesus’ method of building leaders. 6. The teaching of the Word of God was central in Jesus’ method. Jesus was a teacher. Of course, His teaching was not only by words; He also demonstrated the truths He taught to His disciples. His personal example illustrated and authenticated what He taught. Moreover, He led His disciples into their own personal experiences of the truth. Yet, at the heart of it all – and surrounding it all – was His teaching of the Word of God. The teaching of the Word was central in Jesus’ ministry. Many times in the gospels we read that Jesus “began to teach….” He taught in public, He taught in large groups, He taught in small groups, He taught individuals privately, He taught the lost, He taught His followers, He taught His emerging leaders. The Word of God was central in His life, His ministry and His method. Then, before He returned to heaven, Jesus told His leaders to go and do the same thing: “go and make disciples of all nations… teaching them to obey everything I have commanded you” (Matt. 28:19-20). Thus, throughout the book of Acts, the Word of God was central in the life of the early church. They won the lost by teaching the Word, they planted churches by teaching the Word, they built those churches by teaching the Word, they raised up leaders through teaching the Word, and they spent a lot of time and energy in keeping the church’s teaching free from imbalance and corruption. The Word of God was central. Neither Jesus nor the early church leaders were satisfied with sharing brief sermonettes on “felt-needs” once a week on Sunday mornings. They spent hours, days, weeks, months, even years patiently and passionately teaching the Word of God. Moreover, they never shrank back from teaching the Word even when they were rejected for it (John 6:59-68). This was how Jesus and the early church raised up strong leaders: through the teaching of the strong Word of God. Jesus and the apostles were utterly committed to the truth and they raised up leaders with the same passion. It is not hard to prove that the Word of God is not so central in our churches today. When was the last time you heard a serious exposition of one of Paul’s letters in church on Sunday morning? Even in our seminaries and Bible schools we require our students to spend more time studying the words of men than the simple Word of God. We have become more pragmatic than passionate; more concerned for temporal expediency than for eternality; more interested in image-management than with the true image of Jesus being formed in His people. We are considerably better managers than we are martyrs. We are more engaged with “effectiveness” (aka numbers – of people and dollars) than with idealism. Many of the New Testament epistles were written to bring doctrinal and practical correction to the local churches. Today we promote seminars to help people be better leaders – irrespective of what they believe and teach. We just want them to be “better leaders”! Outward appearance has become all important to us; too often we neglect the inner substance. We need to remember that the church is called to be “the pillar and foundation of the truth” (1 Tim. 3:15), and that God’s leaders are called both to confirm (by preaching the truth) and defend (by opposing the errors) the gospel (Phil. 1:7). At the end of Jesus’ ministry He could only claim a handful of followers. Yet He was able to say, “I have finished the work which You have given Me to do” (John 17:4, NKJV). In his last letter before he was executed, Paul wrote, “You know that everyone in the province of Asia has deserted me” (2 Tim. 1:15). Yet he too was able to say, “I have fought the good fight, I have finished the race, I have kept the faith” (2 Tim. 4:7). Whether we ever accomplish anything that the world marvels at is irrelevant. Whether we are ever respected or even accepted by the world’s elite is meaningless. What counts – what alone counts – is whether we fight the good fight, whether we confirm and defend the truth, whether we keep the faith. Leaders who put “effectiveness” first and truth second may achieve greatness in this life but in God’s eyes their lives and ministries are trivial. The example we lay before the next generation of emerging leaders must be one of men and women who loved, proclaimed, fought for, and died for – if necessary – the truth of the Word of God. 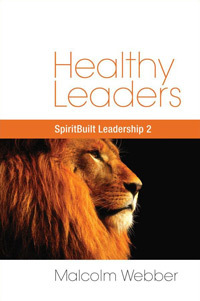 Our next Letter will continue to study Jesus’ model of leadership building. For those interested in China or Asia check out this month’s recommended book, One World, Two Minds by Denis Lane. This is the best book we’ve found so far that efficiently yet comprehensively describes the essential differences between the Eastern and Western worldviews. Excellent stuff. I am impressed by the presentation. It is straight to the point and reader-friendly.